The University of Cincinnati Academic Health Center and the University of Cincinnati have a rich history of discovery and innovation. Credited with many firsts, from the oral, live-virus polio vaccine and the first antihistamine, to the first safe, anti-knock gasoline, UC researchers are literally transforming the way we live and work. IONA was called upon to develop a health news site that would reflect the latest health news to its reporters, patients, and faculty and staff. 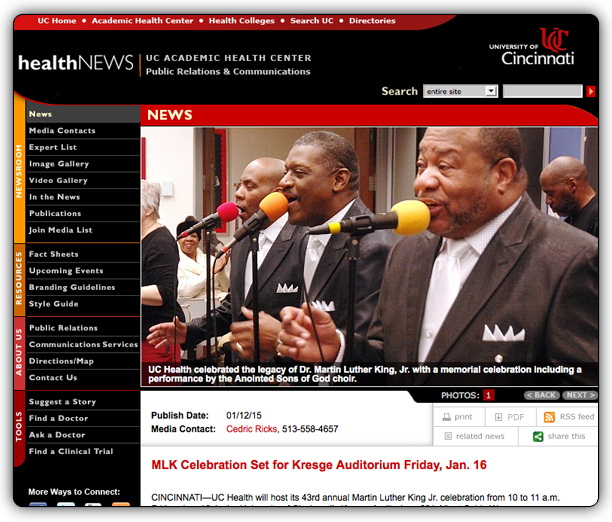 IONA created healthnews.uc.edu, a dynamically driven website that has leading UC Health stories with advanced search, cross-referencing systems, and multimedia that may be downloaded, emailed and printed in ways that make the content as convenient as possible for the audience. IONA custom developed tools that allow the UC Health News Communications office to update content and multimedia quickly and efficiently, and review site usage. Additionally, UC is now able to manage contacts who have requested additional information or are interested in receiving the latest news reports. 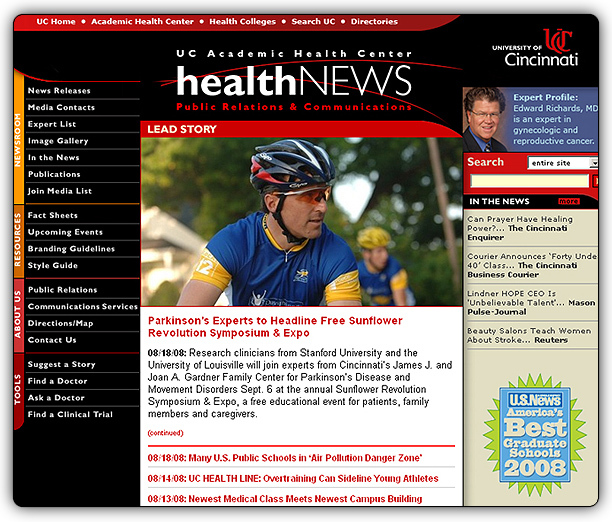 UC Health News launched in 2008 and has continued to be a primary source of health related news from UC Academic Health Center. 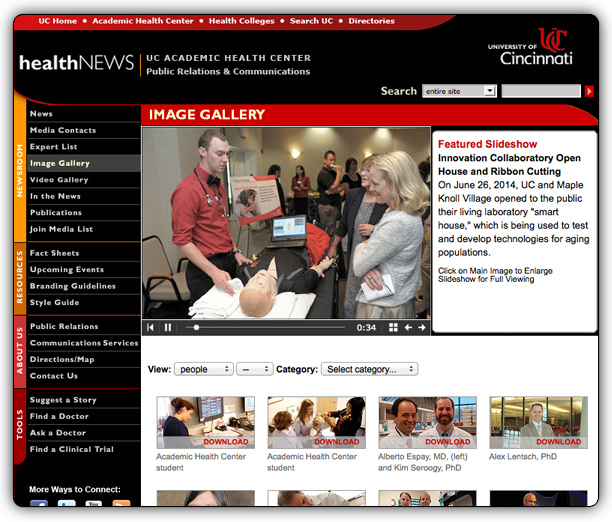 University of Cincinnati Academic Health Center and the University of Cincinnati have an extensive history of paving the way in medical research sciences and health care. It is of no surprise that UC would become a leader in its time for providing new and media in an innovative way to its audiences that include the press, researchers, employees, and potential students. IONA is a proud long-term team member of the UC Health News vision.